This week at EntreArchitect Podcast, Catherine Meng of Design Voice Podcast. 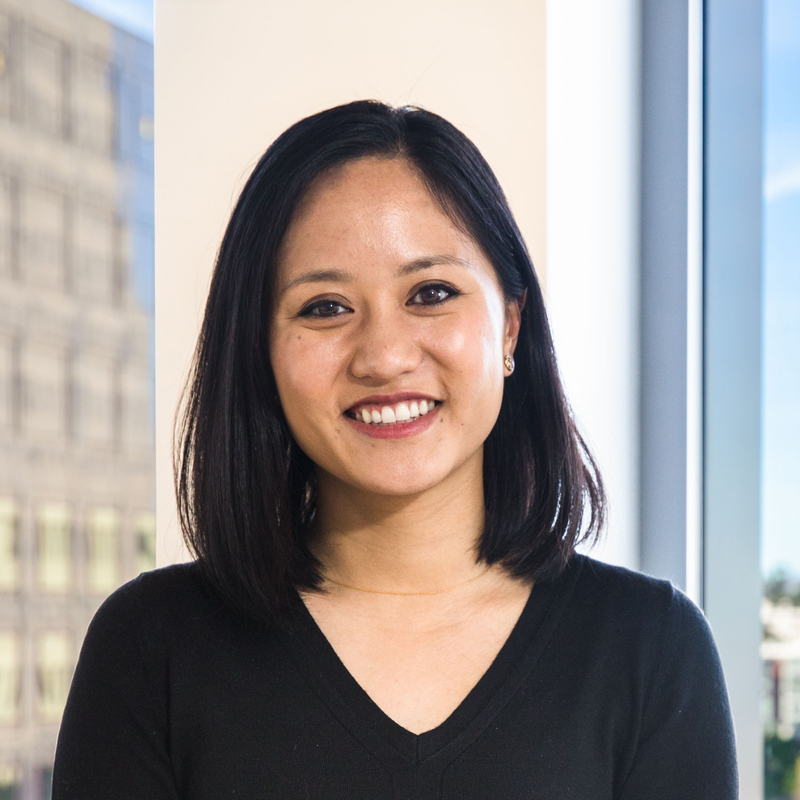 Catherine Meng received her bachelors of architecture degree from Cornell University and joined DLR Group Kwan Henmi in 2016 where she focuses on multi family and students housing projects. Prior to this she previously worked in New York City and Shanghai. In addition to her work as an architect Catherine is active in the San Francisco community. She serves as a mentor at the ACE Mentor Program, serves on the board of the Northern California Cornell Alumni Association, and is a member of the San Francisco chapters of the Urban Land Institute and the Commercial Real Estate Women (CREW).Catherine just started a new podcast called the Design Voice Podcast, which aims to elevate and amplify the voices of women in the architecture, engineering, and construction professions. When Catherine was growing up, she didn’t even know that the architecture profession existed…she wasn’t exposed to the idea that people purposefully designed buildings. She loved drawing, art, and making things with her hands. Her parents wanted her to become a doctor or an engineer. In high school, she read The Fountainhead, and the idea of architecture got lodged in her head. During spring break, she went on a class trip to Italy and was exposed to tons of beautiful buildings in Rome, Florence and Venice. She distinctly remembers climbing to the top of the stairs at Brunelleschi’s Dome and being in awe. She applied to half architecture and half liberal arts schools, and only got into the architecture school at Cornell. She had a love-hate relationship with architecture school, but overall loved her time there. She graduated in 2009 in the middle of the recession, and couldn’t find a job after school. She found some administrative work for about a year while applying to any architecture related jobs she could find. Catherine decided to move to China and find an architecture job there. She took a job with the first firm that was able to find a work visa for her, and worked for a husband and wife firm with a large international team. For her, it was a great architecture bootcamp where she was throw into managing projects, connect with clients, and negotiate contacts. After a year and a half, she applied for jobs in New York and moved there. Her CA and CD experience helped get her foot in the door at the small firm she worked at next. They went from 3 to 10 employees, and Catherine got to experience that first hand. After five years in New York, Catherine and her husband decided to move out west to San Francisco, where they’ve been for the last three years. Catherine works at a midsize firm called Kwan Henmi Architects. About a year ago, they merged with DLR Group, which has opened a lot of opportunities to expand the types of work they do. DLR Group also offers professional development grants that anyone can apply for. Catherine was inspired by stories of other women’s design journeys, and decided to start the Design Voice Podcast. The show officially launched a month ago. What was the podcast that you wanted to create? After Catherine started planning her podcast, another one was launched featuring interviews with women architects in LA hosted by Audrey Sato. It’s similar to what Catherine wanted to do, but her main goal was to hear women’s stories. How did they deal with challenges in their careers? What were their best moments? What inspires them? When Catherine was growing up, she was taught that she could do anything she wanted to. When she started working, she realized that the gender breakdown is different than she expected. Problems of sexism in the workplace have not yet been solved. The longer she’s the profession, the more she wants to know how other people are dealing with these issues. She wanted to strike a balance between talking about a lot of challenges women face in the field of architecture, while not focusing on the fact that these people are women, but they’re architects and engineers who are separate from their gender identities. Were there any surprises you’ve come across? One big surprise for Catherine is that women sometimes struggle with asking for what they want. If they’re asking for a greater team or the company, they’re often more willing to ask. When Catherine started the podcast, she became bold to ask anyone for input to benefit the greater good of the design world. She’s felt free to know what it’s like to be able to put herself out there more confidently. Catherine is also amazed at what people have been willing to open up about. One of her guests teaches at an architecture studio and is a young mother, and shared the struggles she has balancing both. She doesn’t have her own space, and has to pump standing up and carry her milk around with a freezer back. Who are some upcoming guests? Anne Torney at Mithun, a young project engineer from McCarthy Construction and a principle at a structural engineering firm. Topics will range from work life balance, pay equity, flexibility with work. Sometimes people look at these things and assume they’re about women and minorities, when in fact, it’s about making the design profession better everyone. EntreArchitect LIVE in New York! Join us on June 20, 2018. We’re putting together a workshop that will talk all about success in architecture and will introduce the 4 P’s of the EntreArchitect Business Framework.